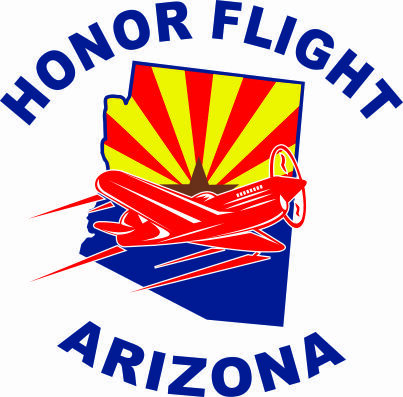 We appreciate your interest in planned giving to Honor Flight Arizona. Many Veterans will benefit from your generosity. Please note that the following information on this website is not intended as legal or tax advice. Please consult an attorney and/or tax advisor for such advice. *** To simplify our management of any gifts to Honor Flight Arizona, we only accept cash/monetary assets. We do not accept other assets such as real estate, securities or other non-cash/non-monetary assets. The simplest way to make a planned gift is by naming Honor Flight Arizona in your will. A bequest is a meaningful way to support continuing more Honor Flights to Washington, D.C. without affecting your cash flow during your lifetime. Your attorney can include it when you prepare or revise your will or you can add a codicil at any time. You can make a contingency bequest to Honor Flight Arizona, which allows you to account for a change in your beneficiary’s circumstances. Gifts that do not restrict the use (unrestricted gifts) allow Honor Flight Arizona to use these resources where they are most needed. Honor Flight Arizona is also grateful for gifts that are designated for a specific purpose that advances its mission (restricted gifts), such as support to a specific initiative or for a specific program. You can contribute to Honor Flight Arizona through your retirement plan. Simply name “Honor Flight Northern Arizona” as a beneficiary of your retirement plan. You will retain control of the plan during your lifetime, and you can change your beneficiary at any time of your circumstances change. These may include charitable remainder trusts, charitable lead trusts and may be revocable or irrevocable. Please consult your attorney and/or tax advisor for all options to include Honor Flight Arizona in a charitable trust. Another no-cost way to make a planned gift is by designating “Honor Flight Northern Arizona” the recipient of a bank account or security. You can instruct any financial institution in which you have an account or the holder of a security to place your asset in a trust (often called a Totten Trust or a Transfer upon Death Account) which will be transferred, upon your death, directly to Honor Flight Arizona. This allows you to retain complete control of the asset during your lifetime and to give the remaining asset to Honor Flight Arizona upon your death. Most Totten Trusts can be created easily, using a form obtained from your bank, financial institution or the holder of the security. Honor Flight Arizona welcomes philanthropic support through gifts of life insurance policies when the Honor Flight Arizona is named as the owner and irrevocable beneficiary of the policy. You can name “Honor Flight Northern Arizona” as the primary or contingent beneficiary of an existing or new life insurance policy.